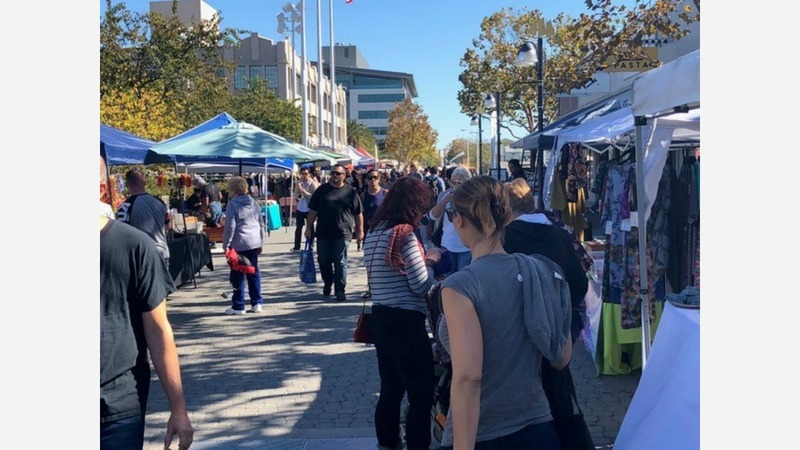 Starting this weekend, Jack London Square will host Second Saturday, an open-air market featuring up to 100 local makers, children's activities, live entertainment and food. The showcase is part of ongoing efforts to make the city's waterfront a stronger draw for locals by spotlighting the square's appeal for weekend and evening excursions. Second Saturday comes to the square courtesy of Kyle Wiggins, who told Hoodline his "company is designed to provide entrepreneurs a platform to showcase their products." Wiggins also organized The Buck At Jack London Square, a marketplace which takes place on first and third Sundays. That bazaar features about thirty vendors, but Second Saturday will include closer to one hundred. "It's the first time I've organized an event of this magnitude," he said. Promoting "local talent" is a way to support Oakland, said Wiggins. "I'm looking to do something for my community in a positive way, to provide people with a platform who may have had an idea to delve into entrepreneurship." One such vendor is Old School Copes, a T-shirt and hoodie designer that's been selling youth fashions since the mid-1980s; another is Lisa Inez, who designs "road trip ready and adventure worthy artisan hats" and original jewelry that incorporates "wild-gathered, reclaimed & repurposed elements." "You can talk to Lisa, and she'll give you the story behind the jewelry she makes," Wiggins said. "All of my vendors have their stories, they all dream of opening their own businesses." Angela Tsay of Oakland Supply Company, a variety store in Jack London Square, said she doesn't see artisanal markets as a threat. 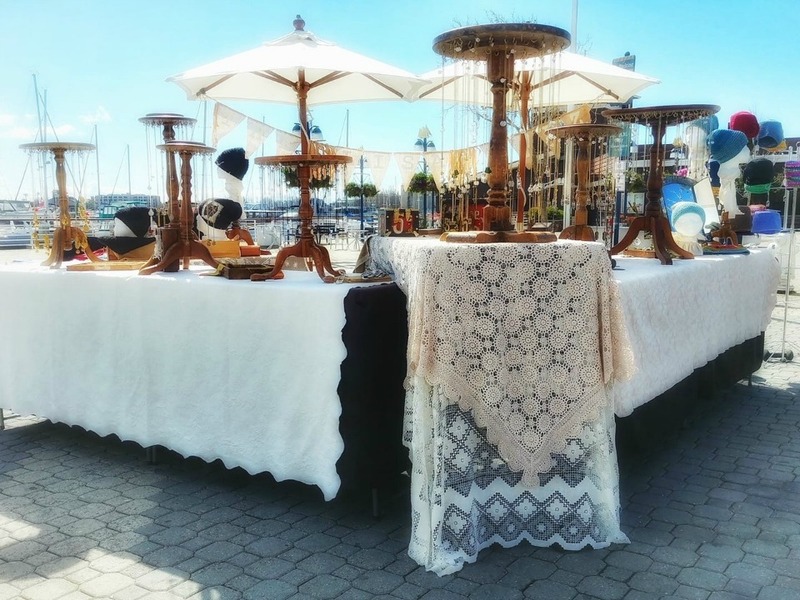 "I'm not concerned with losing business," she said, adding that she was happy when vendor events take place at Jack London Square. "We have a strong enough product that's distinct enough to draw customers in." "I think it's great to bring more vendors to Jack London Square," she said. "It gives people a wider variety of products to shop for. Anytime when there's a crowd people get excited--it brings more life to the waterfront." Tsay recalled her own past as a vendor. "We started out under a canopy, at the Grand Lake Farmer's Market and at October Fest in the Diamond District, so we understand the importance of these fairs." Wiggins said he hopes Second Saturday "helps people to feed their families and grow their businesses," he said. "If you think apartments are expensive, imagine the cost of opening a brick and mortar business--it could cost $6,000-7,000 a month. I hope they can use the money they make as vendors to raise capital to open a business."